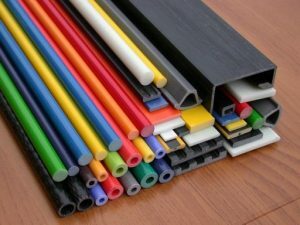 FRP pultruded profiles with excellent corrosion resistance, resistant to varying degrees of acid, alkali, organic solvents and salts and other gas, liquid medium corrosion, never rust, according to the actual use of the media type and temperature requirements, there are O-benzene, m-benzene, vinyl, etc. for the use of choice. Pultruded FRP profiles with high glass fiber content (60%), so that the unidirectional strength and stiffness quite prominent, FRP barrier by the impact of damage will not be brittle fracture. FRP density of only about one quarter of the steel, light weight, very easy to handle, thereby reducing handling costs. FRP pultruded profiles have high fatigue strength, allowing repeated bending without permanent deformation. FRP pultruded profiles are made of pigments formulated into the resin made, the color of the product can be arbitrarily deployed according to customer requirements, easy to fade, no paint maintenance and has a self-cleaning role. Has a good visual effects, and has a certain alert role. Add anti-UV agents to your formula for the best UV protection. FRP pultruded profile product performance obvious advantages, corrosion resistance, anti-aging, good insulation effect.